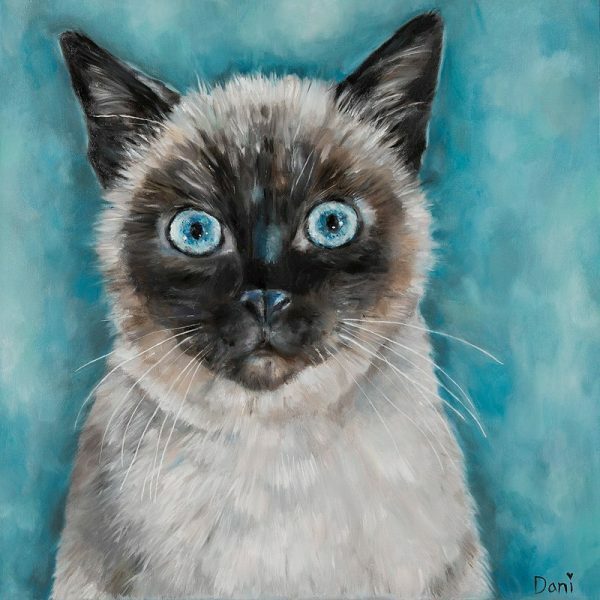 “Baby Blu” by Dani Bergson is a striking new addition. 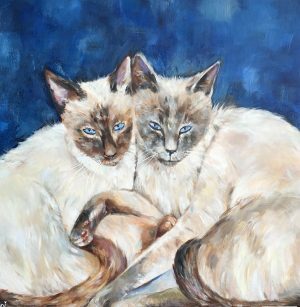 Painted on Cotton Box Canvas featuring a stunning Siamese cat looking directly at the viewer. 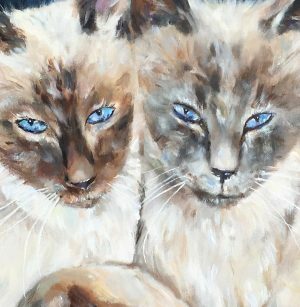 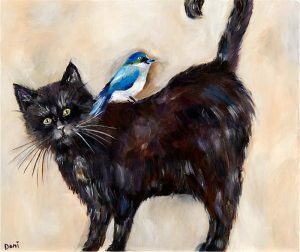 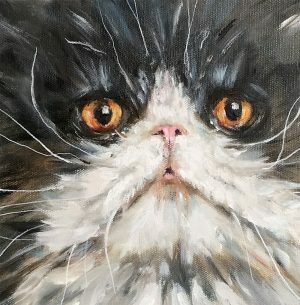 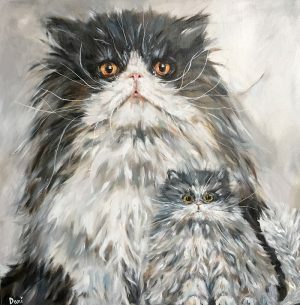 A very detailed portrait piece.This would make a welcome addition to any cat lovers home.